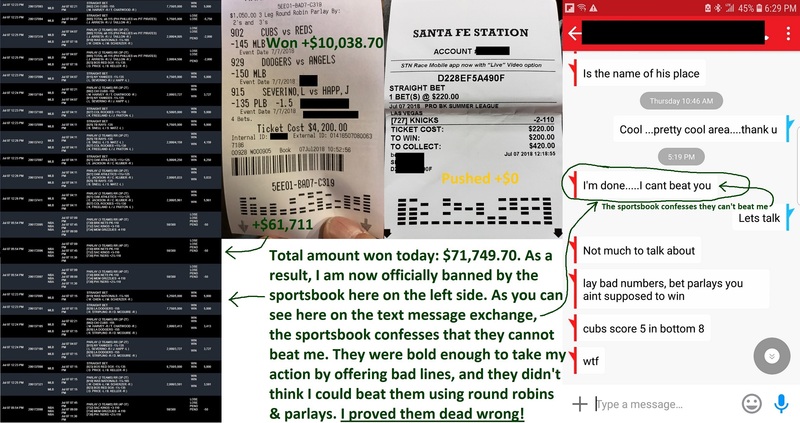 It finally happened: I just won more than $122,797 in profits from betting on sports the last 6 days, and I’m now officially banned from one of the sportsbooks. I will be scrambling today to look for new sportsbooks that are bold enough to take my action. The sportsbook admits they gave me poor odds on my bets. 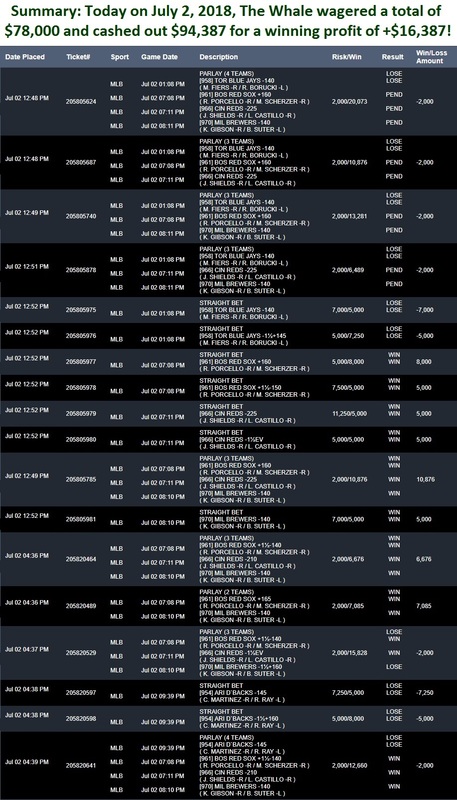 Plus, they didn’t think anyone could beat them using parlays. They were bold enough to take my action. And now, they’ve paid the ultimate price. Just like that, this bookmaker is dunzo! After 30+ years in the business, this came as the first time they’ve ever had to shut down an account from anyone using a parlay approach. 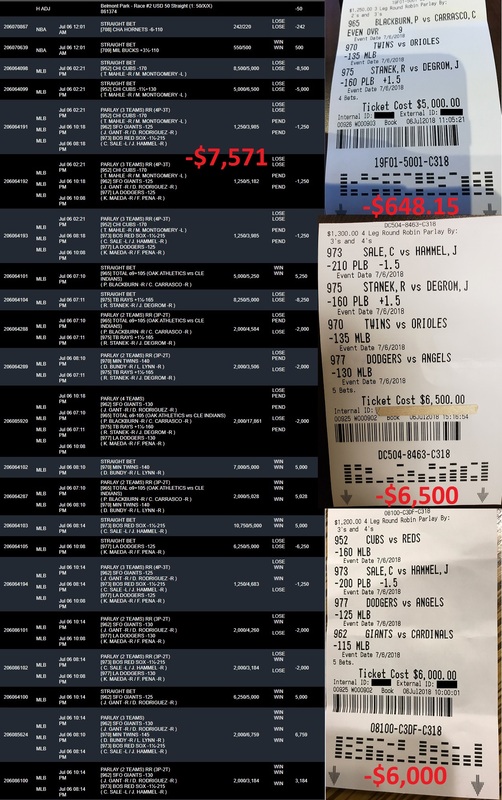 On July 7th, I bet $83,870 and cashed out $155,619.70! And remember: I didn’t start off with much cash on hands. 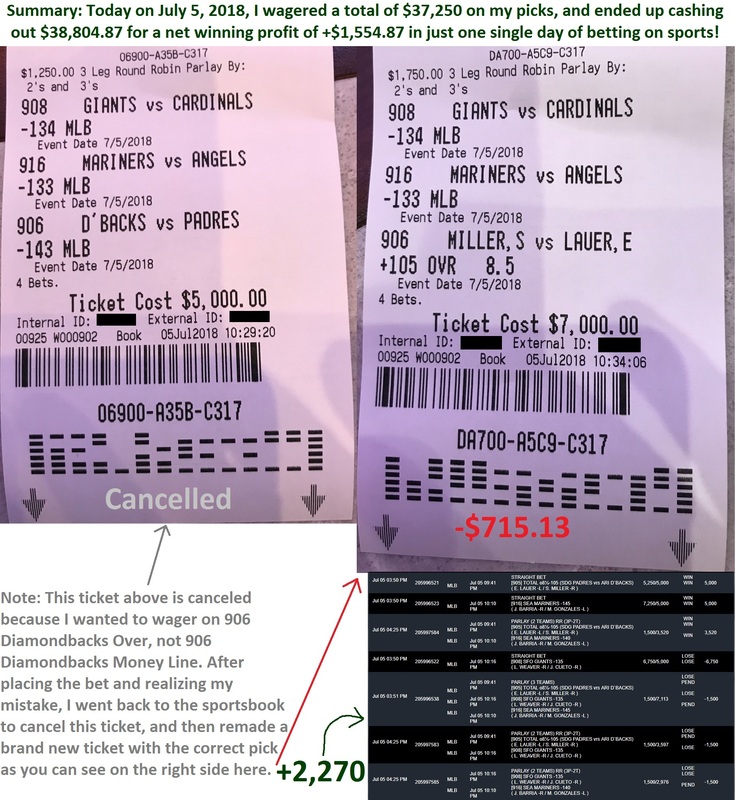 This winning streak did not begin with me having $78,000 right off the bat. 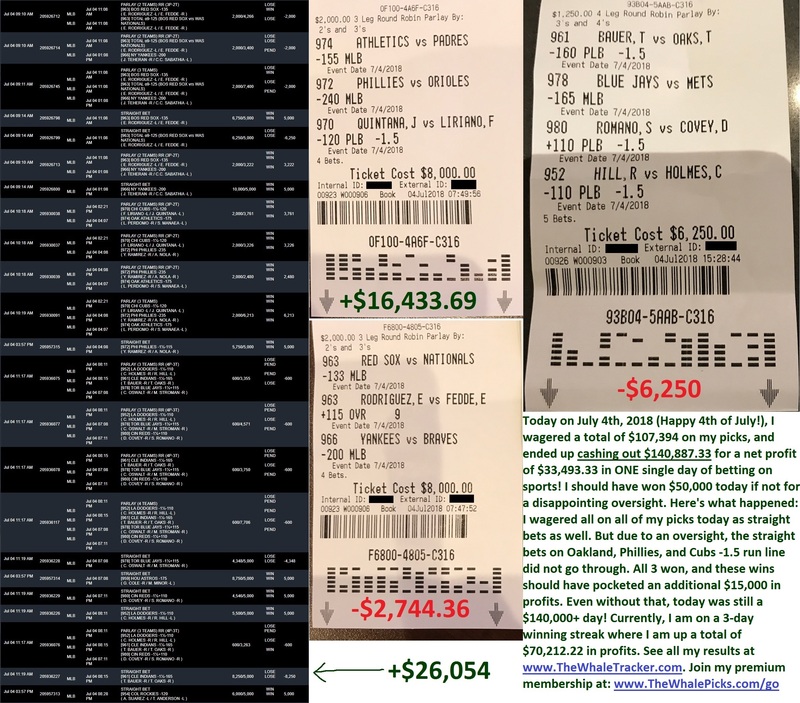 I actually started on May 26th with just $26,000 in my pockets, and ran that into more than $326,000 three weeks later. I’m still using those same profits I made last month to go on my current winning streak that has now stretched for $122,797.64. 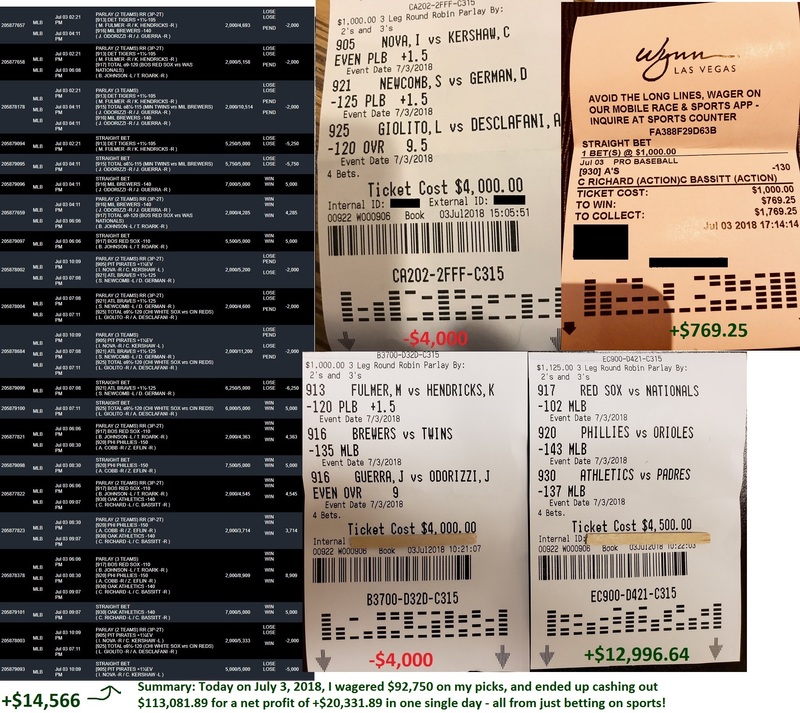 You’ve now seen it with your own eyes how I went on a $326,000 winning streak last month (see proof at The Whale Tracker), and another $122,000 winning streak this month. My goal is to take this current winning streak to more than a million dollars before the end of July. What a joy it would be to see you share into the success, too. If I win a million dollars this month, I’d have effectively taken $26,000 and turned it to a million dollars – all from betting on sports. I will document proof of all of my picks and betting tickets as they come in at The Whale Tracker so you can have full transparency of my performance. Today, I’m forced to bet lower amounts because I’m now banned from one of the sportsbooks I used to make mywagers. I’ll be working hard to look for a new sportsbook to use in the coming days. Hopefully I can find somewhere bold enough to take my action. I’m not satisfied until I show you my multimillion-dollar winning streaks.